The LNR versions (and maybe others) of the MTR 4B and MTR 5B have a bug that can lead to emissions on unwanted frequencies, which may be illegal and can harm your finals. This may happen only if the RTC is in use. I am not sure about this, though. "I need to warn of a potential problem with the LNR 5B with the 2x16 LCD display. With the clock enabled, it is possible for the DDS chip to get the wrong data and transmit out of band. This happens because the data clocking bit for the LCD and DDS have opposite sense. The DDS clocks in data when the bit goes low, the LCD clocks in data when the bit goes high. Unfortunately, I failed to ensure the clock bit was in the proper state at the beginning of a data transfer to each device. This problem was not initially apparent because when the RTC is not on, the sequence used to write to the DDS and LCD is such that the clock sense is corrected. 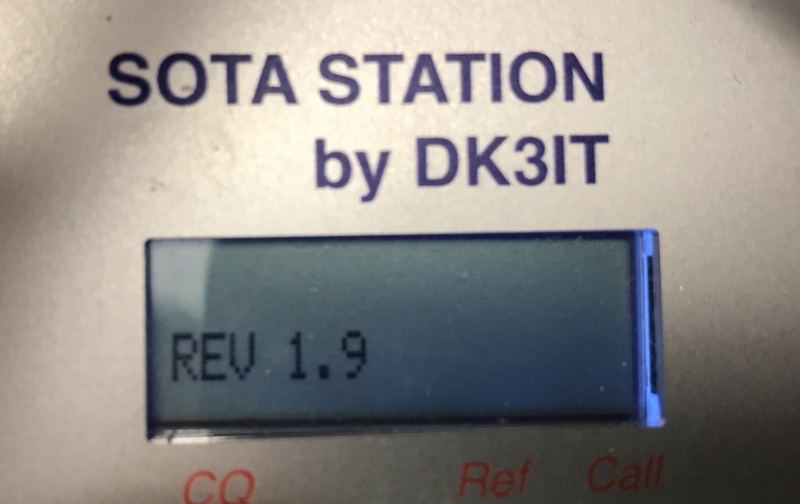 However, when the RTC is turned on, a write to the display to update the time leaves the data clock bit in the wrong state for the next write to the DDS, which could occur when you go to transmit. This might also be the cause of lock up problems some users have experienced when the RTC is displayed. Firmware rev 1.8 and later fixes this problem. To find out what firmware rev you have, turn power on while holding down the Function button. when transmitting, you know your out of band. Tuning up and back down one step will correct the problem." As far as I know, the bug has been spotted by Chris, GU3TUX. 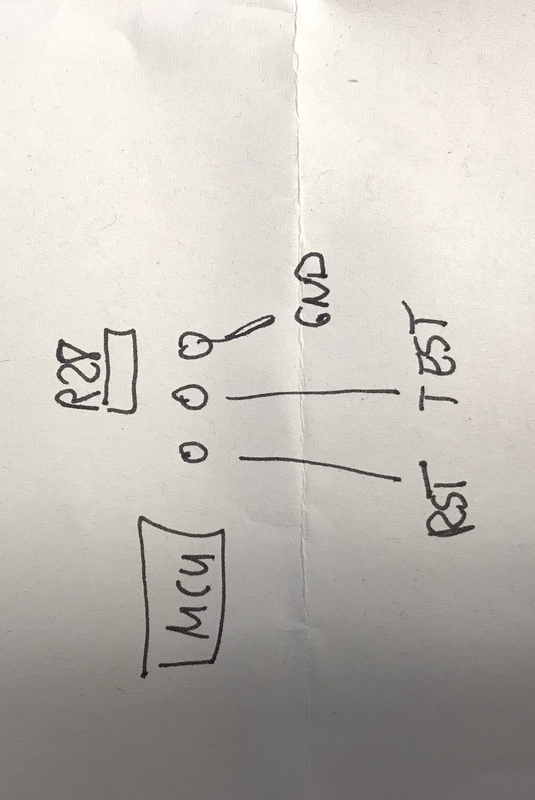 I have not yet found the proper wiring for in-circuit programming of the MCP430, but will post here when found. There’s various resources on the AT Sprint Yahoo group if you’re a member. Flashing the firmware isn’t too bad, I think there’s just three wires to connect to the Launchpad. I had to reflash the MTR-5B a few times due to bugs in the initial releases. [image] I’m sure someone would be able to help out with the firmware changes, assuming that the 4B firmware is available. so he might be able to share instructions on the flashing procedure. 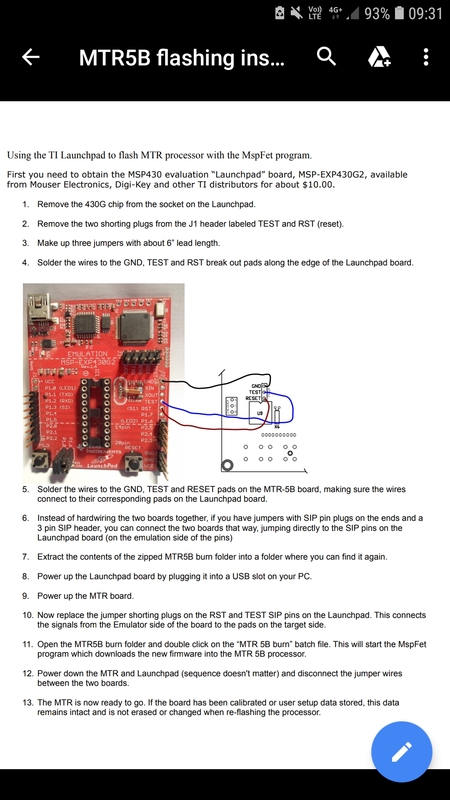 EASY MSP430 LaunchPad ISP With Only 4 Wires!!! 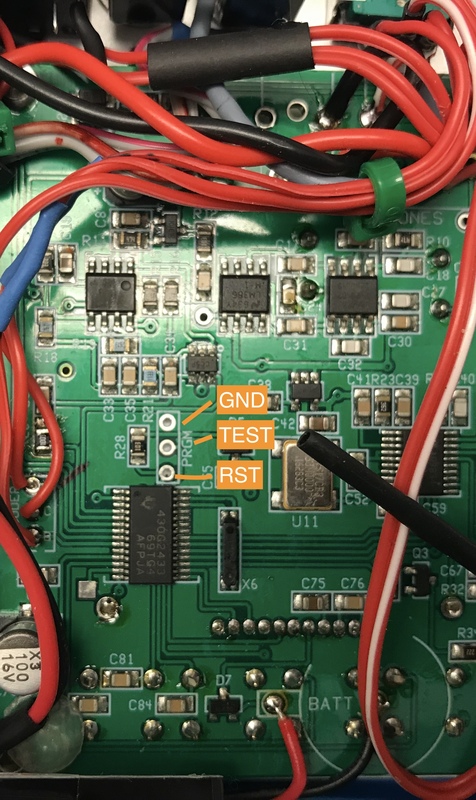 The 3-pin ISP connector on the MTR-5B PCB is directly connected to the TEST, RST and GND pins of the MCU (see attached image). 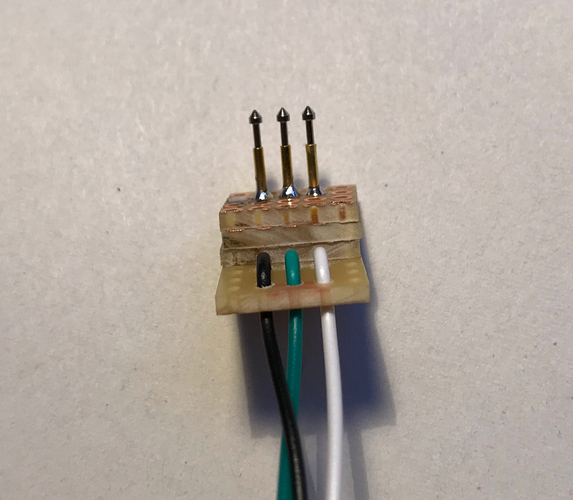 So I guess you just need to connect these three wires from the TI LaunchPad to the ISP connector. What I am still looking for is a command-line tool for OSX for flashing a given binary file. I think I am now done on the hardware side; still need to install the software and do the actual firmware update, but this requires a fresh evening. As for the head type, “E2” works best for solder pads with a hole. I cut four tiny pieces of perfboard and glued them together with superglue; make sure the holes are perfectly aligned and the super-glue does not run into the holes. The two outer pieces should have the copper layer to the outside. This stabilizes the pogopins. I then added three jumper wires for connection with the LaunchPad. 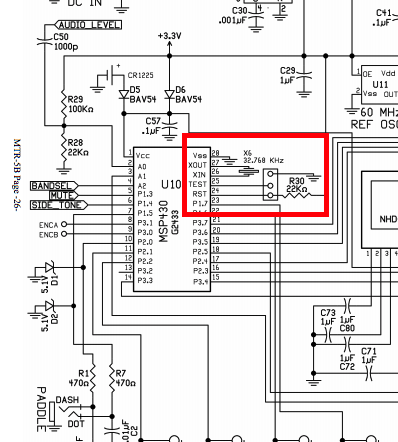 The (likely) pinout of the PRGM solder pads on the MTR-5B LNR revision is as shown on the attached picture. 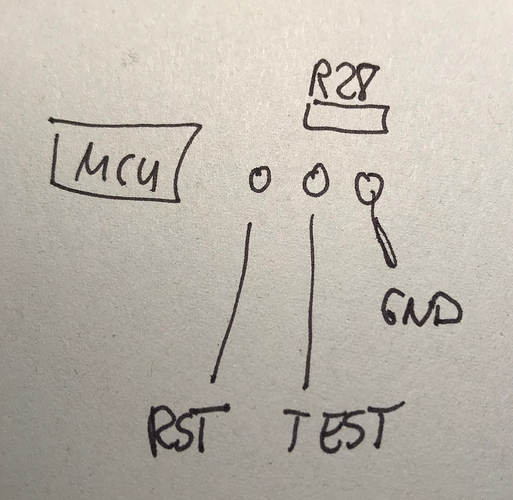 This is untested; use it at your own risk, but I think this is correct, since the rightmost pin is connected to the ground layer, and the leftmost runs via R28 to 3.3V and should hence be “RST”, which leaves the middle pin for “TEST”. Will share experiences once I will have been successful. there is no USB driver for the MSP-EXP430G2 Launchpad for OSX. It seems one can use Windows in a virtualization environment, but that was non-trivial to set up for me. If anybody was successful flashing the MTR5B with the new firmware on OSX, I would be very interested to learn of the toolchain being used. I would now try to find a Windows machine to do the update. I think you are over complicating things. 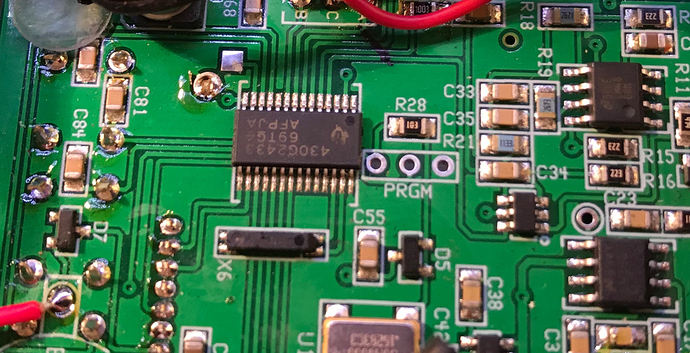 There is plenty of info on the ATS Yahoo group regarding reflashing the MTR firmware. There’s no need to use the TI software suite, just use the simple MSPFet application bundled with the MTR-5B firmware .ZIP file. It was a while ago and I can’t remember the exact details, but I successfully got the MSPfet application to burn new MTR-4B firmware with a few tweaks to a .bat file, it was very logical. 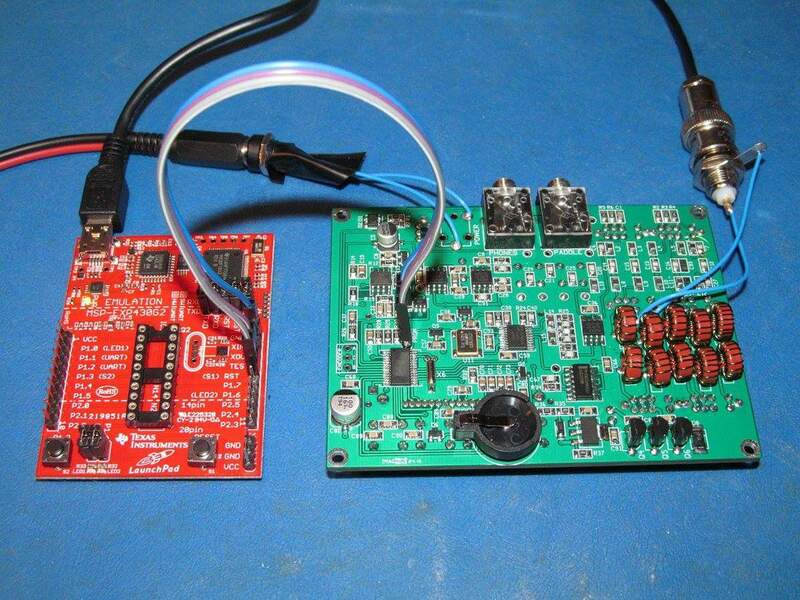 *I have simply modified the MTR-5B firmware folder with the new file provided by Steve. I obviously do not have an MTR4B to experiment on, but I did find an MSP430 chip and the firmware uploaded first time with no problems. BTW, it’s sufficient to just push Dupont style cable pins into the MTR programming holes during reflash, soldering is not needed. If you can’t run a Windows emulation, I think borrowing a Windows machine is the answer. Download MTR V2 REV 2_06 burn files.zip from the Yahoo files archive at https://groups.yahoo.com/neo/groups/AT_Sprint/files/MTR%20Version%202%20/. 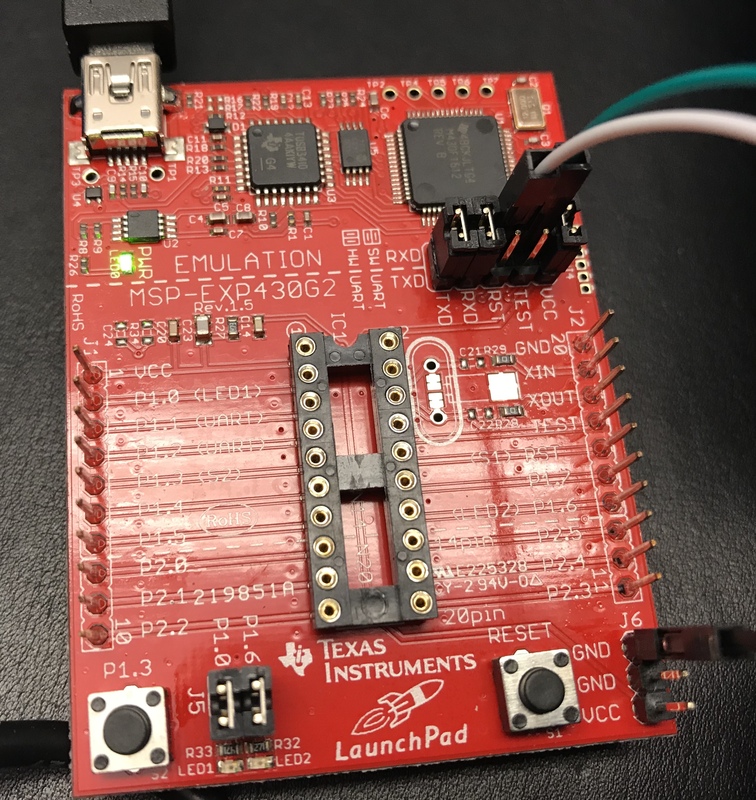 This contains OLD firmware but the all-in-one software for updating the firmware from a Windows machine for use with the MSP-EXP430G2 LaunchPad from TI. Unzip both archives and put them on an USB stick. 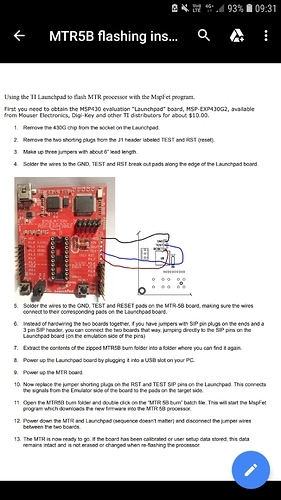 Remove the two jumpers labeled TEST and RST on the LaunchPad. Remove the MCP chip from the Launchpad. Connect the Launchpad to a Windows PC via USB and power up the PC. Power up the MTR 5B. BUT DO NOT HIT ENTER YET. 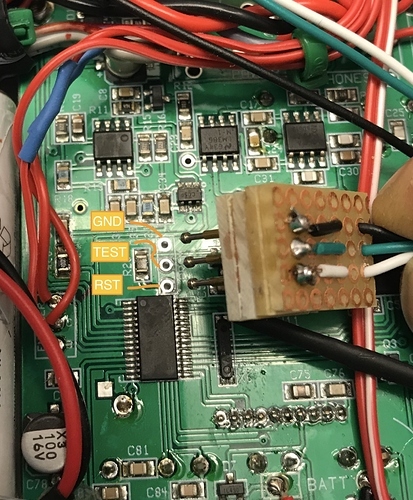 Carefully push the pogo-pin adapter from above to the PROG connector on the MTR. Make sure you don’t touch any other pins or discharge static electricity. Then hit Enter and wait for the upload to complete. A GUI window of the programmer will open and indicate the progress. When done, power down the LaunchPad and the MTR. You are all set. Press and keep pressed Fn while turning on the MTR, and the message “Revision 1.9” will confirm that you are done. 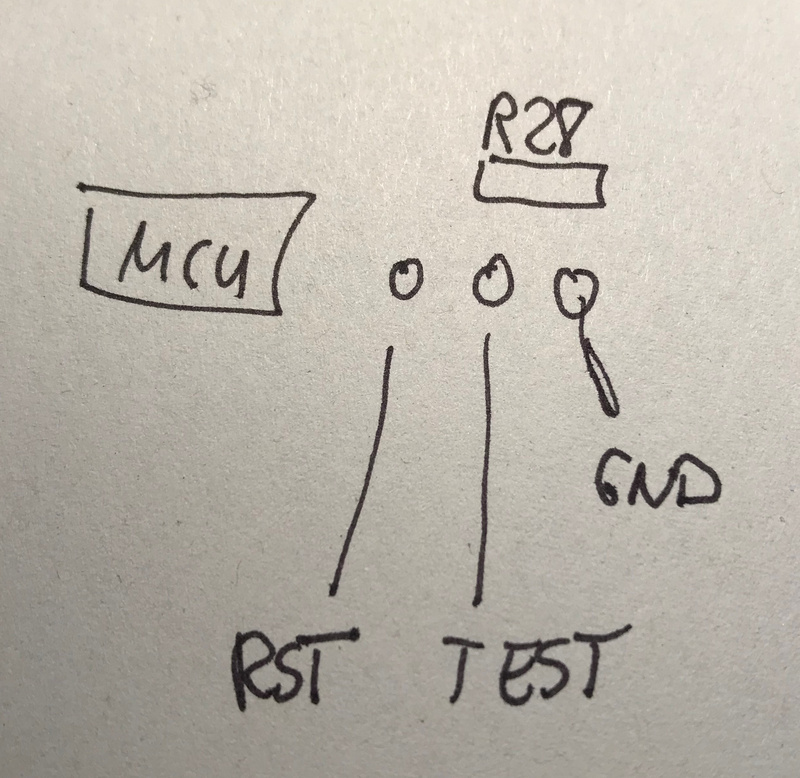 In one of the PDFs in the Yahoo forum they say the pinout of the PROG header was “Ground**/Rest/Test**”, while in fact on the MTR-5B it is “Ground**/TEST/Rest**”. The former order might be correct for the MTR3-B or earlier boards, I did not check that. Warning! Before you apply that update, wait for my analysis of a major problem: With the new firmware, my MTR sends strange signals (while the signal in the earphone is correct). It almost ruined my last activation :-(.